Legacy Tip - who else lived at the same address? "My family has a history of living in the same house or same street for several generations. It would be great to get a report of everyone who has lived at the same address - is this possible?" Yes, this is possible. It just depends on where you enter the information about the address. First...below is a Residence event I created for Joshua Brown. From a city directory, I learned that he resided at 203 2nd Avenue in Minneapolis. I entered the transcription of the directory in the event's notes. 1) Go to Search > Find > Detailed Search. But if others had the same address entered in an event's notes, they would show up in the list. Second...another place to record an address is on the Address screen. Wherever you see the icon below, click on it and enter the address. Notice how I entered the name, "Home at 203 2nd Ave S in Minneapolis, Minnesota". Entering it this way would permit me to select this same entry for anyone else who lived here. Next, click on the Address List button and you can see the map of the home. Here's the key. 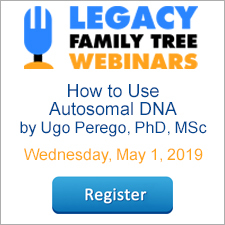 To see if anyone else in your Legacy family file has lived at the same address, click on the Show List button. These techniques work well if you are consistent in how you type the addresses. And I suppose this article would be better if I had an example where several generations did in fact live at the same address. Third...some will enter the address in the location field. Although I don't personally recommend or use this format (messes up the consistency of my master locations), here's what it would look like. Then, clicking on the blue arrow to the right of the place, which pulls up the master location list, you can click on the Show List button to get a list of everyone who shares the same place. So there's a few ideas for you. Hopefully something resonates for you Chris. What about others, how do you record the residence of an ancestor? We published the classes on our brand-new "Legacy Videos" page here. Follow these steps to create this chart. Go to Tools > Calculators > Relationship. Using the "Select Left Person" and "Select Right Person" buttons, select the two individuals. Click the "Print" button, select your options, and click Preview or Print. FamilySearch has added more than 10 million indexed records and images to collections from Canada, Czech Republic, Dominican Republic, New Zealand, South Korea, Ukraine, and the United States. Notable collection updates include the 3,427,354 indexed records from the Canada Census, 1911, collection; the 1,334,575 image records from the Czech Republic, Censuses, 1800–1945, collection; and the 2,545,965 indexed records from U.S., Idaho, Southeast Counties Obituaries, 1864–2007, collection. See the table below for the full list of updates. Search these diverse collections and more than 3.5 billion other records for free at FamilySearch.org. "How do you get a report for finding how many couples in a certain county marry?" My guess is she has found a new or a new-to-her collection of marriage records, and wants to search her Legacy Family Tree file for any couples that married in that county. Perhaps she already has the dates and places, but now wants to back those up with documentation from the actual records. Below I will demonstrate how to create a list of all individuals who married in Washington County, Tennessee from my personal family file. 1. On the My Toolbar tab, click on the Search button. 2. On the Detailed Search tab enter the criteria below. 3. Click on the Create List button. Legacy displays the list of 34 individuals who married in Washington County, Tennessee. Click the Print button to create a custom report. For more on Searching in Legacy, watch our recent Virtual User's Group meeting here. New to Legacy? Thinking about Using Legacy? 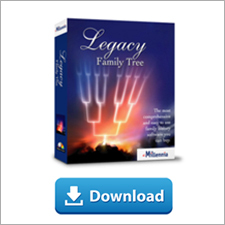 What's New in Legacy Family Tree?